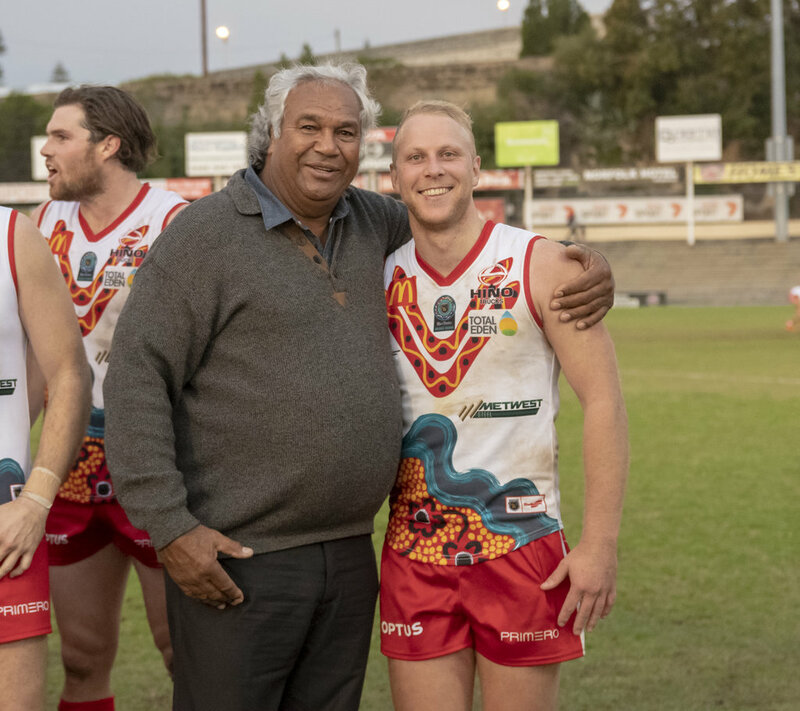 SOUTH Fremantle geared up for its Subiaco challenge with a 26-point NAIDOC Week victory against Claremont at Fremantle Community Bank Oval on Saturday on the back of a dominant second half in Ryan Cook's 150th match. 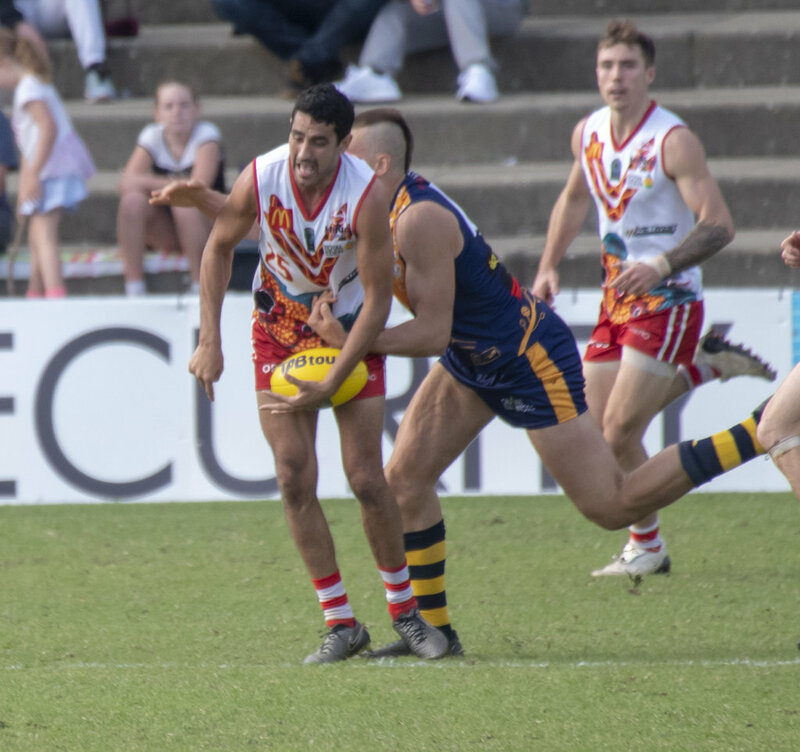 Claremont returned to Fremantle Community Bank Oval having beaten South Fremantle at the port just six weeks earlier while the Tigers have dominated the NAIDOC Week battles over the years winning nine of the 11 contests since they began in 2007. Claremont then came out and started strongly with the first two goals and still led by five points at half-time. But after the break, the Bulldogs got going backing up from a two-goal first half to kick eight in the second half while the Tigers managed just the three suffering injuries to Bailey Rogers and Jye Bolton along the way. 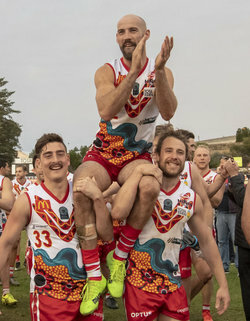 That ended up seeing South Fremantle come away with the 10.13 (73) to 6.11 (47) victory to retain the Jimmy Melbourne Cup having won consecutive NAIDOC Week matches for the first ever time with Stephen Michael and Michael Mitchell on hand to do the presentation. 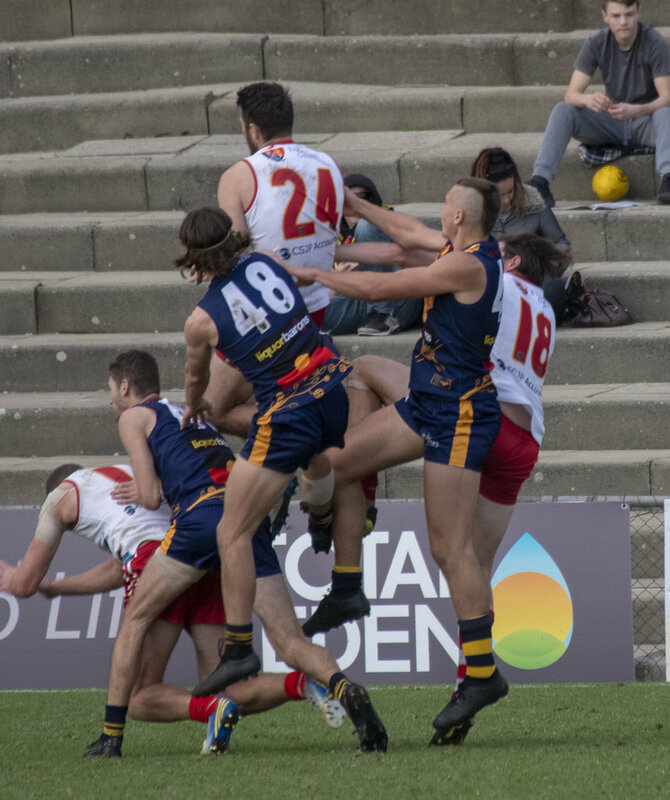 While Mason Shaw was held goalless, South Fremantle still kicked a winning score on the back of three goals to Brandon Donaldson, and two each to Haiden Schloithe, Ben Saunders and Matthew Parker. Along with their two goals, Schloithe also collected 23 possessions, five marks and five tackles with Parker finishing with 18 disposals. Jacob Dragovich collected 24 possessions to go with eight marks and six tackles for South Fremantle while Dylan Main finished with 23 disposals, eight tackles, six marks and six inside-50 entries. Marlion Pickett continued his stunning form with another 23 possessions, 12 marks, eight tackles and five inside 50s in the midfield while Ryan Cook celebrated his 150th game to earn life membership with 22 touches, eight inside-50 entries and six marks. Brock Higgins put together another impressive ruck performance for South Fremantle with 16 touches, 52 hit outs and five tackles. Shaun Bewick also had 20 disposals, Shane Hockey 18 and Nick Suban 17 while Noah Strom was superb in defence holding Claremont's Kaiden Gilbert scoreless and to one kick. Claremont had the confidence of having beaten South Fremantle at the same venue six weeks earlier and started the game well again on Saturday with the opening two goals in the first six minutes to Tom Lee and Matthew Palfrey. The Bulldogs did respond with a goal to ex-Tiger Ben Saunders before quarter-time after a terrific tap from Brock Higgins at a boundary throw-in to Haiden Schloithe who found Saunders at the top of the goal square where he marked strong. But Claremont still led by three points at the first change before South Fremantle did kick the first goal of the second term with a good set shot from Schloithe. Claremont regained a lead with Lee's second of the day and it was a first half with a combined five goals with the Tigers up by five points at the long break. 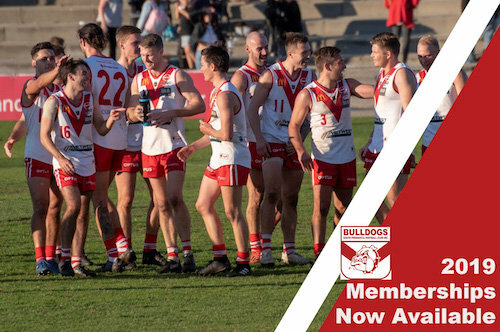 It had been a grind for the first half but the game considerably opened up after half-time and it took nothing more than 15 seconds in the second term for Matthew Parker to goal as the Bulldogs got the ball right out of the centre. Claremont did respond thanks to captain Ian Richardson before the Bulldogs got on a roll with three goals inside 10 minutes courtesy of two to Brandon Donaldson and another to Zac Strom. A second to Richardson kept Claremont within seven points at the last break but the Bulldogs ran away with the win in the last term with the final three goals of the game, a third to Donaldson, second to Parker and second to Saunders to come away with the 26-point win. South Fremantle's reserves might have been on top of Claremont in all areas except the scoreboard on Saturday at Fremantle Community Bank Oval, but that was what mattered most with the Tigers ending up winning by 19 points. South Fremantle finished the game with 64 more possessions than Claremont, 17 more marks, two more inside-50 entries and an extra scoring shot, but couldn’t capitalise. Claremont started on fire with five goals to no score in the first quarter and despite South Fremantle kicking six goals to three in the second half, the Tigers still ended up winning 12.5 (77) to 8.10 (58). Jacob Warne and Caleb Datson kicked two goals each for South Fremantle with Datson also contributing 15 disposals, six tackles and four marks. Jake Florenca certainly sent notice that he wants back in South Fremantle's league side with 41 possessions, eight tackles and six marks. Josh Collard also collected 29 touches for the Bulldogs, Trent Reed 29, Glenn Byron 24, Steven Edwards 23, Daniel Burke 21 and ruckman Jake Solomon 18 to go with 27 hit outs and five marks. South Fremantle's colts recorded an emphatic win over Claremont on Saturday at Fremantle Community Bank Oval with the Bulldogs beating the Tigers by 82 points. 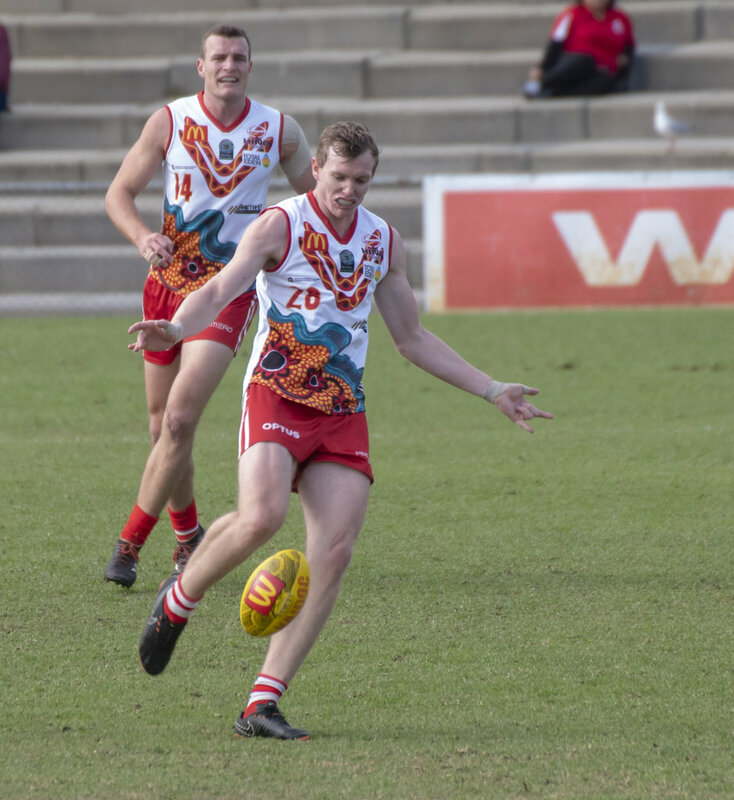 South Fremantle came out and kicked the only three goals of the first quarter on a chilly Saturday morning before going on to add the only two goals of the second term to keep Claremont goalless for the entire first half. The Bulldogs turned things up another gear in the third quarter piling on another seven goals even though the Tigers did manage their first goal of the contest along the way. South Fremantle kicked another three goals to one in the last term to take out the 15.13 (103) to 2.9 (21) victory. Lachlan Feeney kicked four goals for South Fremantle from 20 possessions, eight marks, four tackles and four inside-50 entries. Lachlan Johnson also kicked three goals for the Bulldogs and Tom Weston two. Tom Blechynden delivered a standout performance for South Fremantle with 34 possessions while Enrique Aiken-Featherstone collected 28 disposals, Jack Musika 27 (10 tackles), Manfred Kelly 25, James Russell 23, Matthew Ward 23, Michael Redman 21, Brodee Knight 20, Toby McQuilkin 18 and Zaine Atwell 18. Nash Miller played well in the ruck too for the Bulldogs with 17 disposals and 26 hit outs. 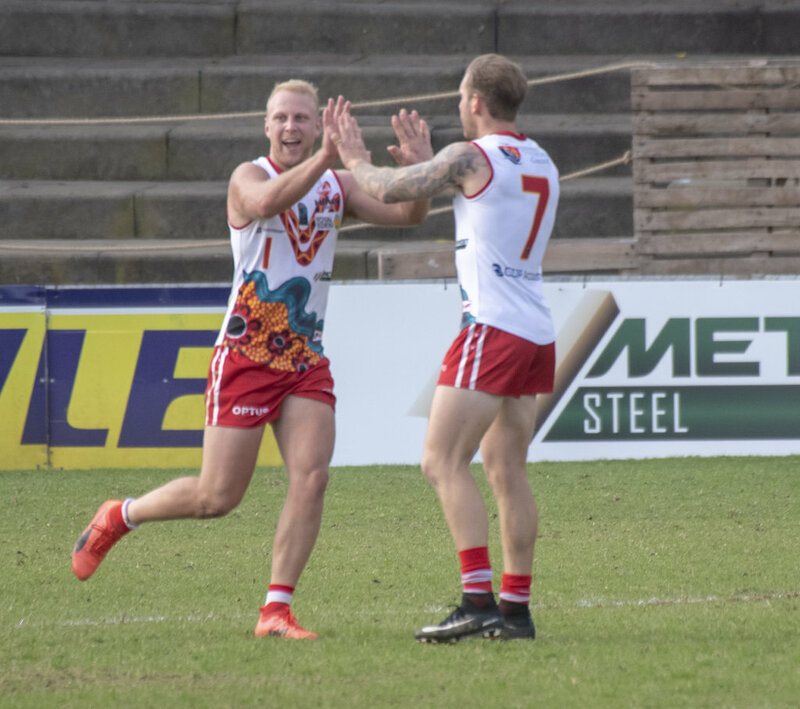 South Fremantle has now won three of its last four matches heading into the biggest test of all this Saturday against the unbeaten league-leaders Subiaco at Leederville Oval. 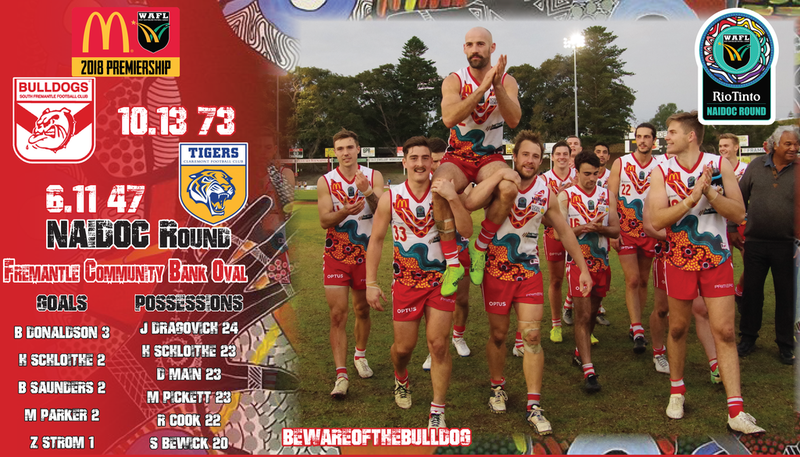 The Bulldogs did lose to the Lions by 58 points in their first game of 2018, but that was now four months ago and South Fremantle will look to be the first team to seriously threaten Subiaco's unbeaten start to the season. SOUTH FREMANTLE – Goals: Donaldson 3; Schloithe, Saunders, Parker 2; Z Strom. Best: Pickett, Higgins, Schloithe, Main, Cook, N Strom, Dragovich, Parker. CLAREMONT – Goals: Lee, Richardson 2; Palfrey, Law. 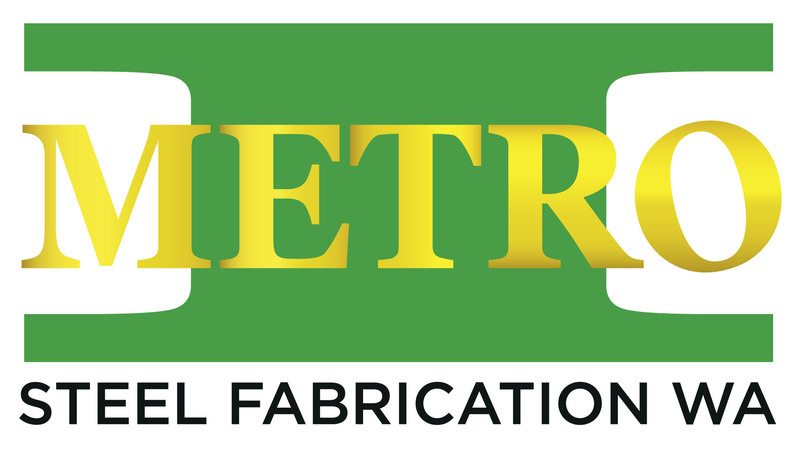 Best: Mitchell, Martinis, J Hardisty, Hamp, Bolton, Wallace, D Hardisty.